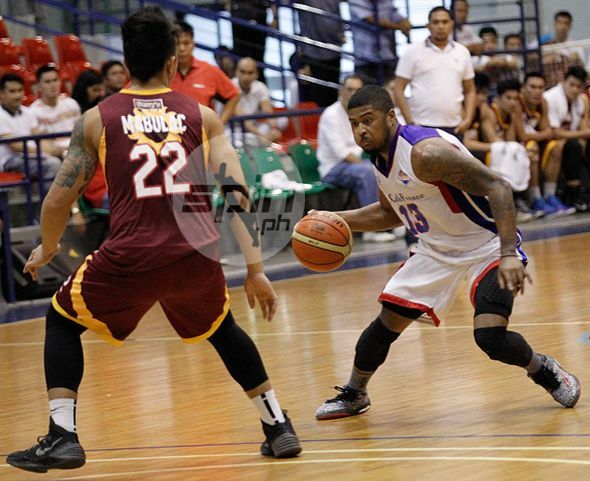 AFTER Moala Tautuaa and Troy Rosario, can Maverick Ahanmisi be far behind? On Friday, Rain or Shine management showed its trust in the surprise pick of this year’s PBA Rookie Draft by signing him to a two-year, maximum deal with the Asian Coating franchise. Tabbed by the Elasto Painters at No. 3 overall, the 24-year-old Fil-Nigerian is guaranteed to receive a total package of P4.5 million. His signing came less than 24 hours after top picks Tautuaa and Rosario both received maximum deals of three years from Talk ‘N Text worth P8.5 million. Ahanmisi, who suited up for Café France in the PBA D-League, made a lot of heads turn during the draft proceedings last week when the Elasto Painters ignored other potential first-round hopefuls by selecting him ahead of them. And as proof he’s here to stay with the franchise and play under coach Yeng Guiao, co-owners Raymund Yu and Terry Que agreed to sign him to a contract that will pay him P1.8 million on the first and P2.7 on the final year. “We’re always happy to welcome a new player in our team. Hopefully, he’ll immediately help us as we look forward of winning another championship,” said Que.